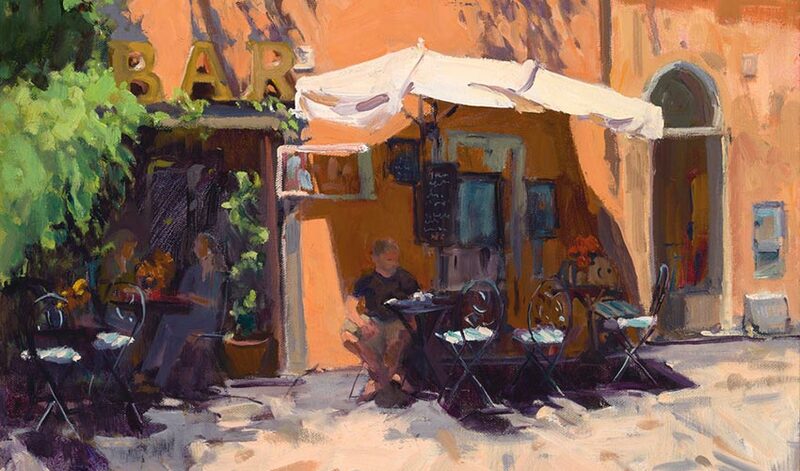 Laurie Hendricks is a plein air artist who has been traveling abroad to paint and teach for over 15 years. During her gallery talk at the Santa Paula Art Museum on Saturday, June 16, 2018, Hendricks will share the joys of seeing foreign lands through the eyes of a painter and the excitement of coming home with treasured “studies” from which to create larger studio works. While the thought of traveling with paints may be daunting, Hendricks will share her tips and tricks for traveling light with oil paints, watercolors and sketchbooks in tow. Admission is included with regular museum admission, which is $4 for adults, $3 for seniors, and free for students and museum members.